web page monitoring 1.0 - Download Win Apps. Free screensaver inspired by web page monitoring at www.changedetect.com. Free screensaver inspired by WPM with themes ranging from spying, robotics, exploration, time and cameras. 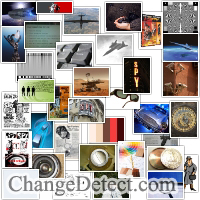 Includes 36 images with almost a dozen different transition effects. Image selection and transition effects are randomized so this great screensaver is always fresh.